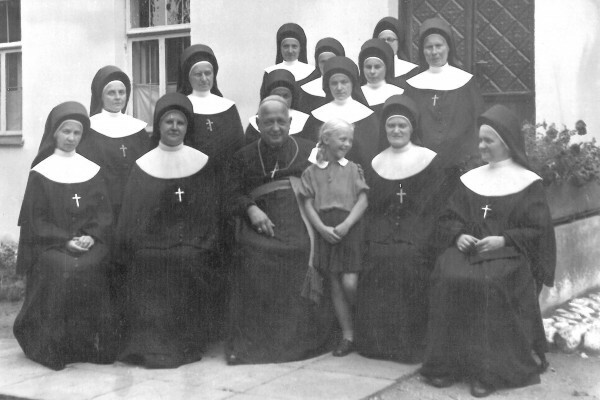 On August 1, 1943, eleven of the twelve Sisters in Nowogrodek were loaded into a truck and driven into the woods where they were executed by Nazis soldiers and thrown into a mass grave. Seventy-five years later, we remember the sacrifice of these Sisters and the love they showed for the families they served. We pray “that like them we may witness with our lives to the presence of the Kingdom of God’s love and extend it to the human family throughout the world” (from “Prayer through the intercession of Nowogrodek Martyrs”). The Martyred Sisters of Nowogrodek were beatified by Pope John Paul II (now St. John Paul II) on March 5, 2000. To read more about Blessed M. Stella and her Ten Companions, pleased visit Blessed Martyrs of Nowogrodek. We also invite you to join us in prayer through the intercession of the Nowogrodek Martyrs by clicking here.